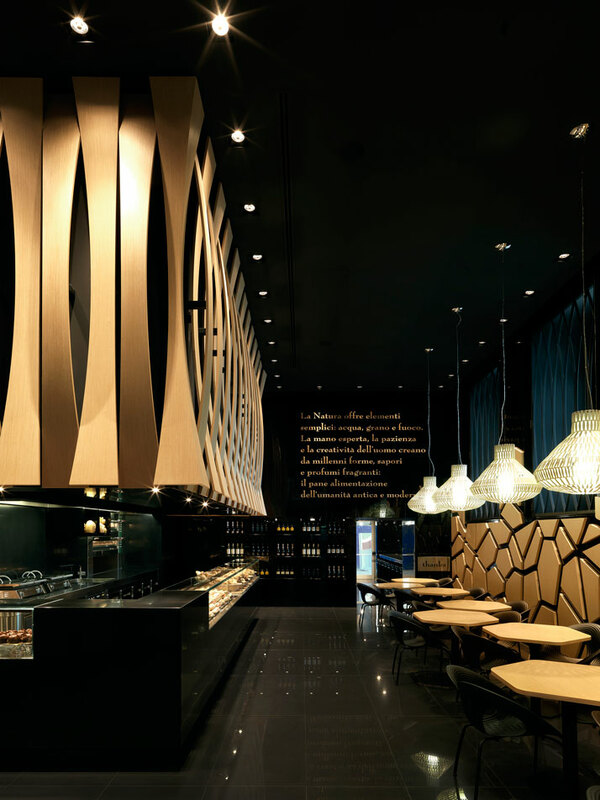 Simple bread is an elegant and uber-luxe experience at VyTA Boulangerie Italiana in Turin, Italy. 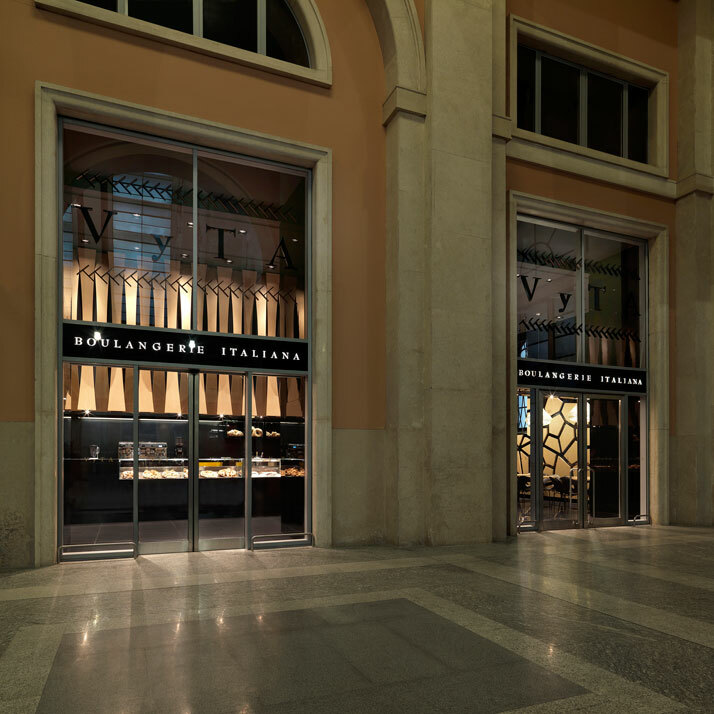 Vyta Italian Boulangerie offers one of the oldest and most staple products representative of most societies – bread and its derivatives at Porta Nuova Train Station, the symbol of Turin’s hectic urban life. 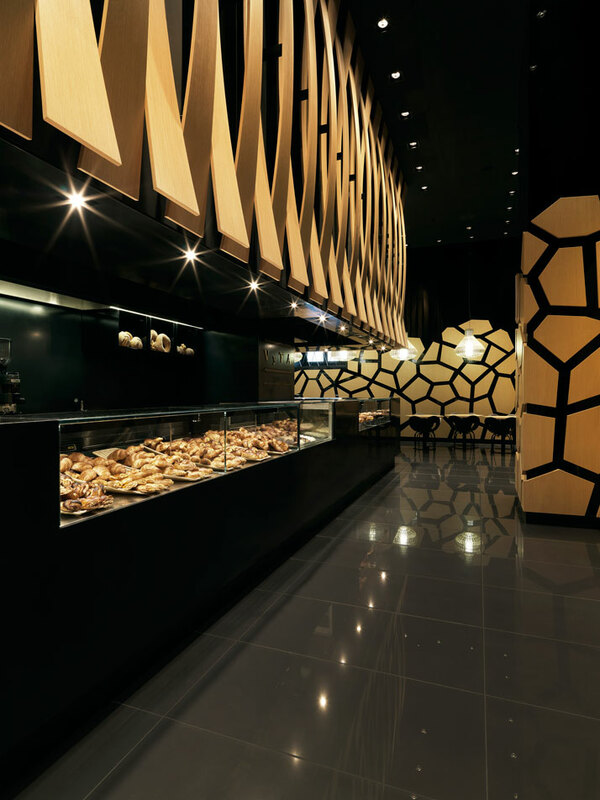 The bakery does not comprise of an ordinary interior design concept which you would usually see at your local bakery, instead, the experience of bread purchasing is more sophisticated, elegant, and chic to say the least all wrapped up in a minimal and modern backdrop. Architect Daniela Colli of ColliDanielArchitetto wanted to create an environment that would feel like ''a place that evokes the ancient rite of eating together,'' simple products offered by nature such as water, wheat and fire as well as the process of creation, the love, the patience and the nourishment have been the fundamental basis of inspiration for architect Daniela Colli. The contemporary look and the minimal design originate from the most ‘minimal’ product found on our table – bread. The usage of few materials, the restricted design, and the unruffled elegance yields an urbane minimalism and a formal reduction to the essentials. A large L-shaped counter is the largest feature of VyTA; the program of the bakery has been organized around this main feature which immediately draws your attention. 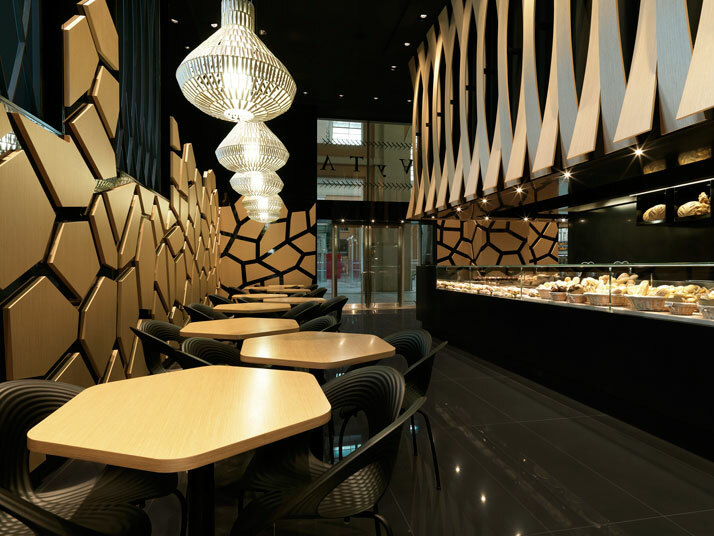 Contrasting materials and hues such as glossy black and light oak wood color, corian and oak integrate contrasting elements into this traditional yet uber-luxe bakery. A juxtaposition of nature and artificially made materials all wrapped up in this black, mysterious, theatrical setting. However, what makes it homely and welcoming rather than creating a remote feeling are the wooden surfaces and the geometric volumes. Creating a more intimate look, the attention-grabbing hood is one of the most noteworthy elements in this interior for two reasons – its concept, and its bulky size. The shape and size of the natural oak wood hood evokes the interweaving of traditional bread baskets (the concept). And although the volume has been brought down to a human architectural scale, to create a more intimate character as opposed to a monumental, this element is still bulky, yet appealing to the eye. 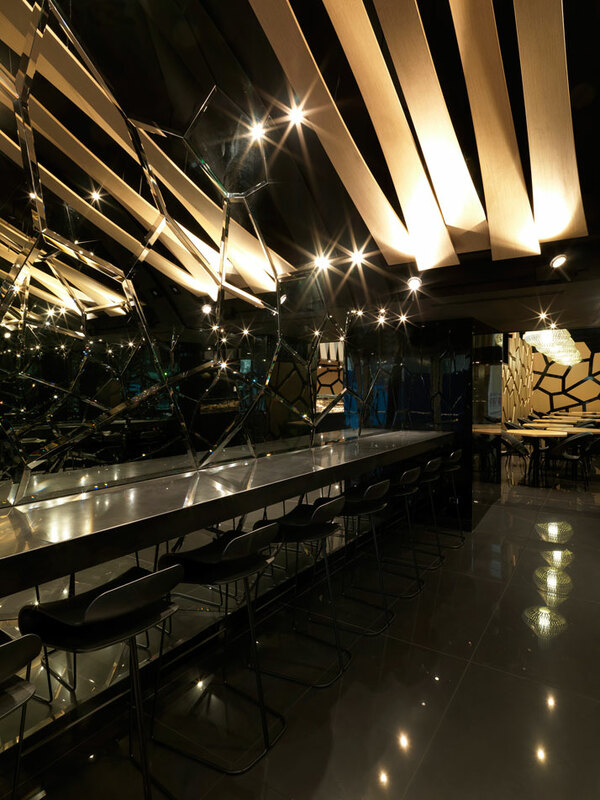 However, what has assisted a lot in creating a homely and intimate setting as opposed to a monumental setting is the appropriate lighting which contributes to this friendly atmosphere as with the appropriate lighting is enhances the hood, while it appropriately lights the black surfaces by Iguzzini metal halide light sources. Adding an extra touch of luxury are the Tropic Bell lamps by Foscarini, which add a sense of glamour right above the sitting tables. A rosette motif which is inspired by the typical ‘rosetta’ breadshape is applied onto the walls and the custom designed tables. The ‘rosetta’ is a bread which was mainly consumed by workers in 1700’s. The shape is taken and created into an oversized three dimensional pattern which is applied on the wall with the mirror backdrop. 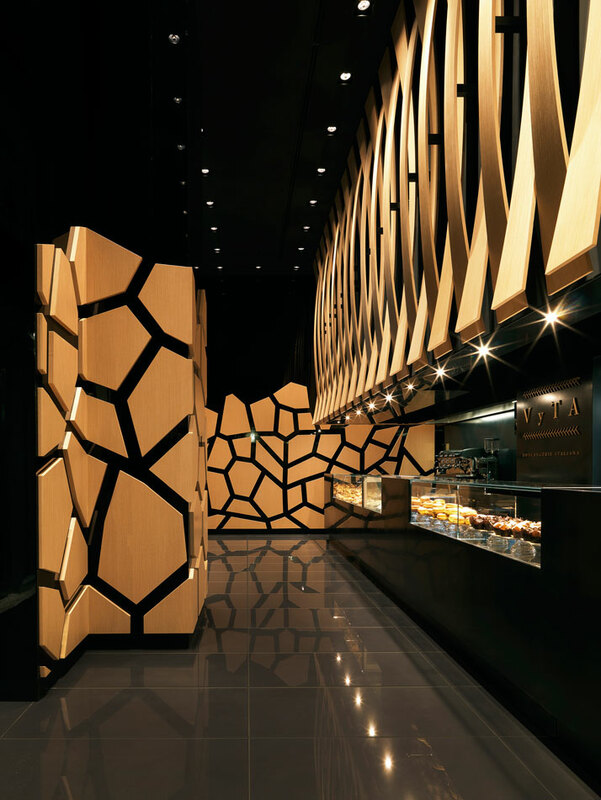 The rosetta shapes are then reflected creating a kaleidoscopic pattern of endless reflections. 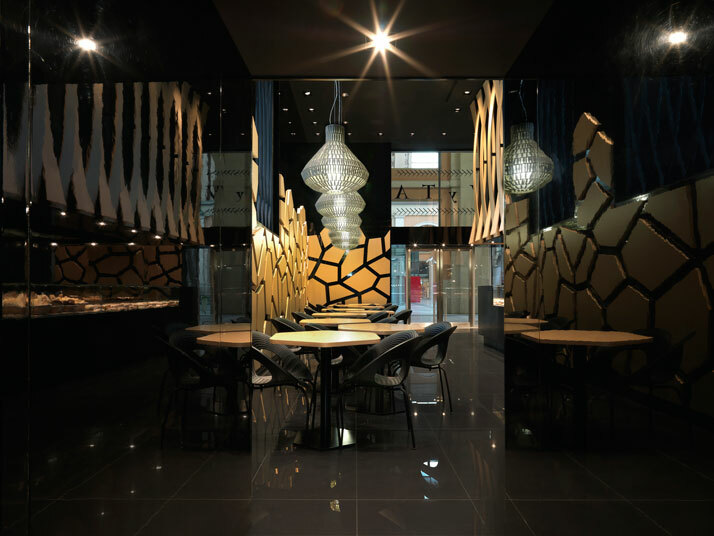 The interior design of VyTA shapes a minimal and contemporary interior; architect Daniela Colli evokes with her approach the ancient rite of eating together. 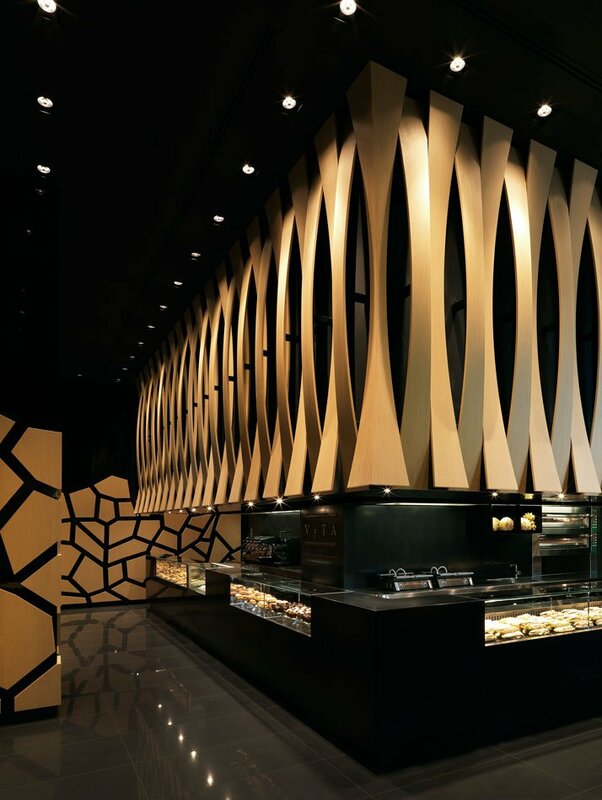 It is evident throughout her architecture and design that this elegant and sophisticated retail interior is inspired by the history of baking, the simplicity, the nature and symbolization of bread.